We know that animals cross miles of water, land, and sky with pinpoint precision on a daily basis. But it is only in recent years that scientists have learned how these astounding feats of navigation are actually accomplished. With colorful and thorough detail, "Nature's Compass" explores the remarkable methods by which animals find their way both near home and around the globe. 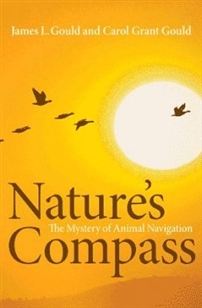 Noted biologist James Gould and popular science writer Carol Gould delve into the elegant strategies and fail-safe backup systems, the invisible sensitivities and mysterious forces, and incredible mental abilities used by familiar and rare species, as they investigate a multitude of navigation strategies, from the simple to the astonishing. The Goulds discuss how animals navigate, without instruments and training, at a level far beyond human talents. They explain how animals measure time and show how the fragile monarch butterfly employs an internal clock, calendar, compass, and map to commence and measure the two-thousand-mile annual journey to Mexico--all with a brain that weighs only a few thousandths of an ounce. They look at honey bees and how they rely on the sun and mental maps to locate landmarks such as nests and flowers. And they examine whether long-distance migrants, such as the homing pigeon, depend on a global positioning system to let them know where they are. Ultimately, the authors ask if the disruption of migratory paths through habitat destruction and global warming is affecting and endangering animal species. 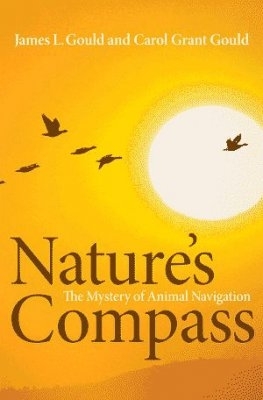 Providing a comprehensive picture of animal navigation and migration, "Nature's Compass" decodes the mysteries of this extraordinary aspect of natural behavior.